Departs 10pm, Returns morning of 4th day. 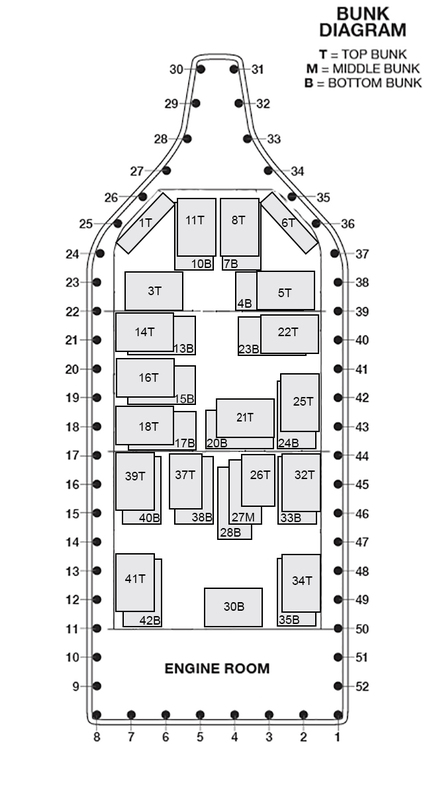 BOOKING REQUIREMENT: You must reserve your spot on the PORT (Left) side of the boat. Anglers who reserve on the stern or starboard side will be moved accordingly at the discretion of the crew. DO NOT DELAY BOOKING! Iron Man trips sell out QUICKLY! On a trip like this we expect to see blueline tilefish, grey and golden tilefish, snowy grouper, yellow-edge grouper, warsaw grouper, queen snapper, blackbelly rosefish, scamp grouper, kitty mitchell, snowy’s warsaw and many, many more! On previous trips to these areas we saw up to 24 different types of fish. During the day we will be deep dropping up to 900 feet. At night we will anchoring or drifting focusing on muttons. blackfin snappers and blackfin tunas. The second and third days we will be deep dropping from sunrise to sunset. We will steam home at night and have you back at the dock on the morning of the fourth day. This trip has the potential to be a MEGA producer.